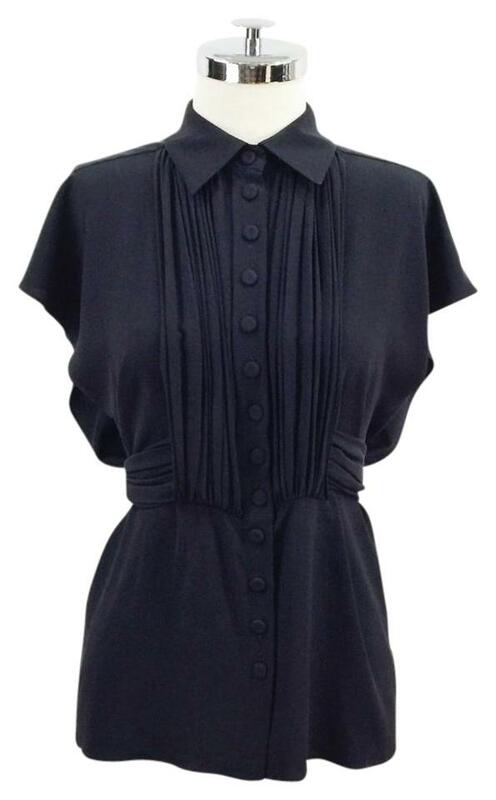 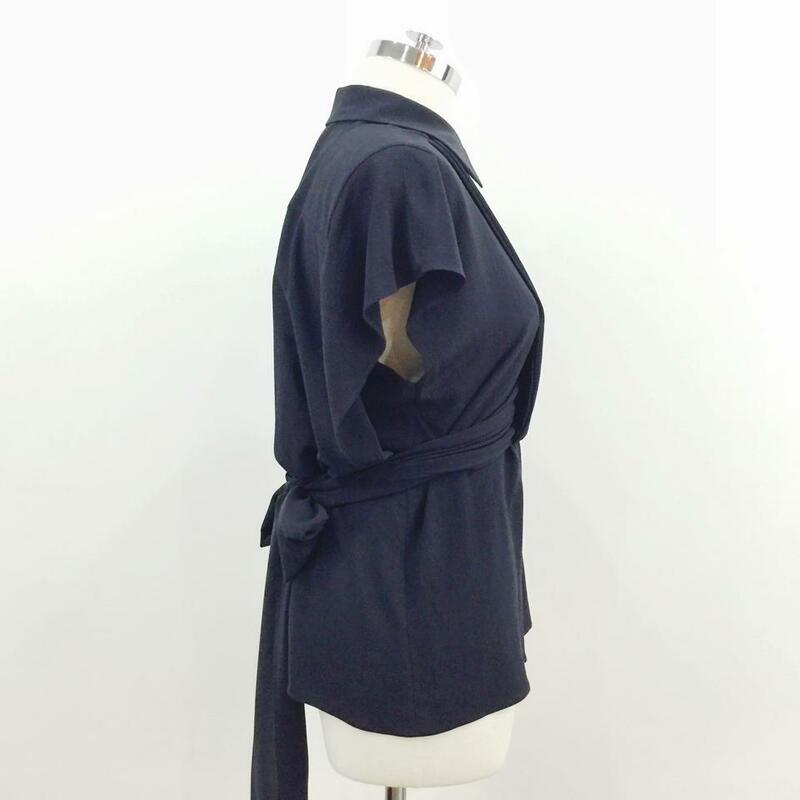 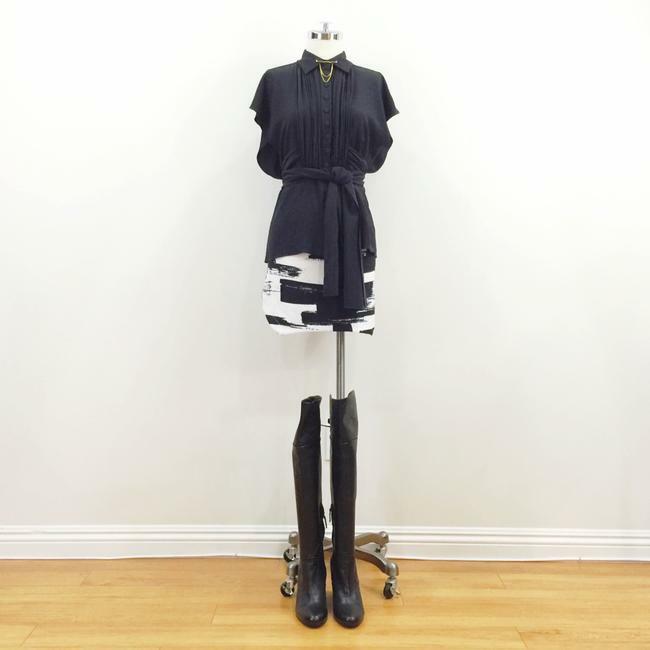 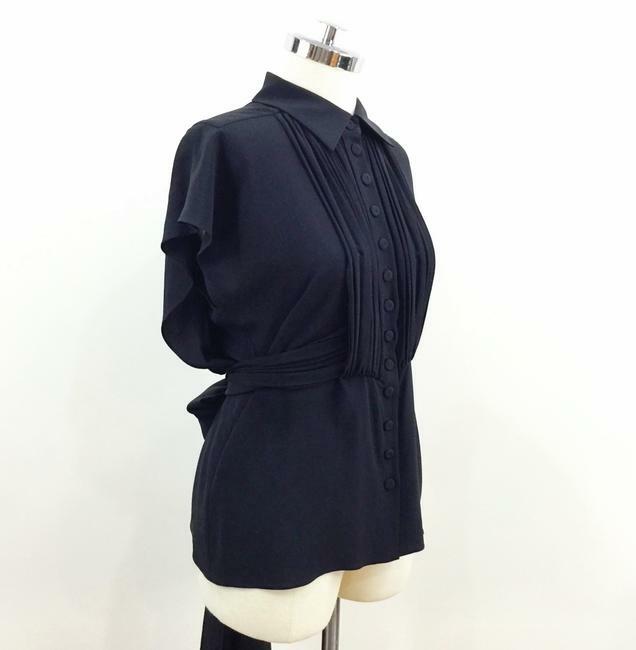 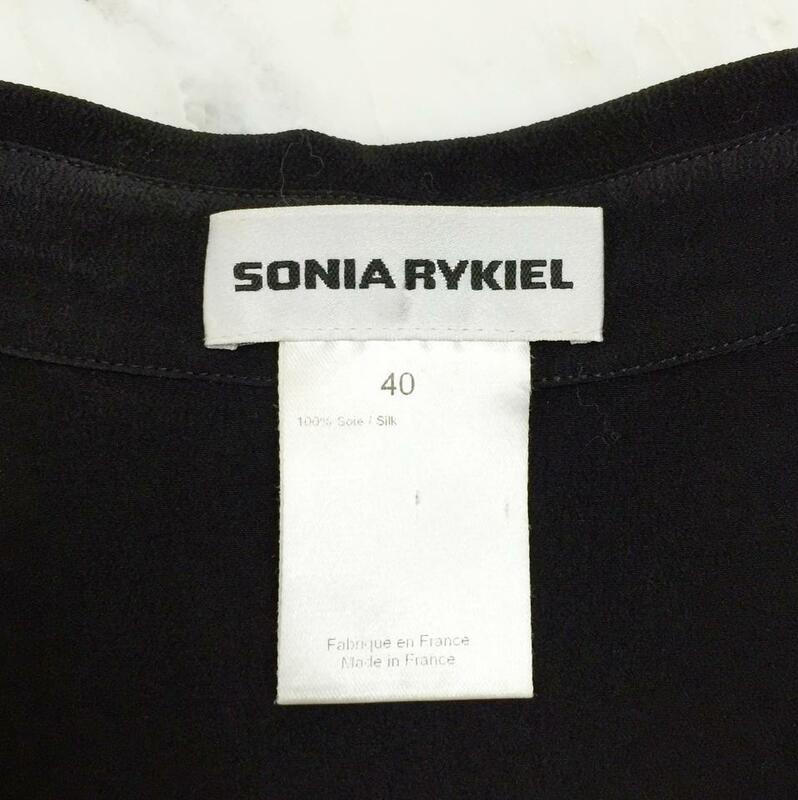 Fantastic Sonia Rykiel black 100% silk blouse. Has short sleeves and self covered buttons at the front. 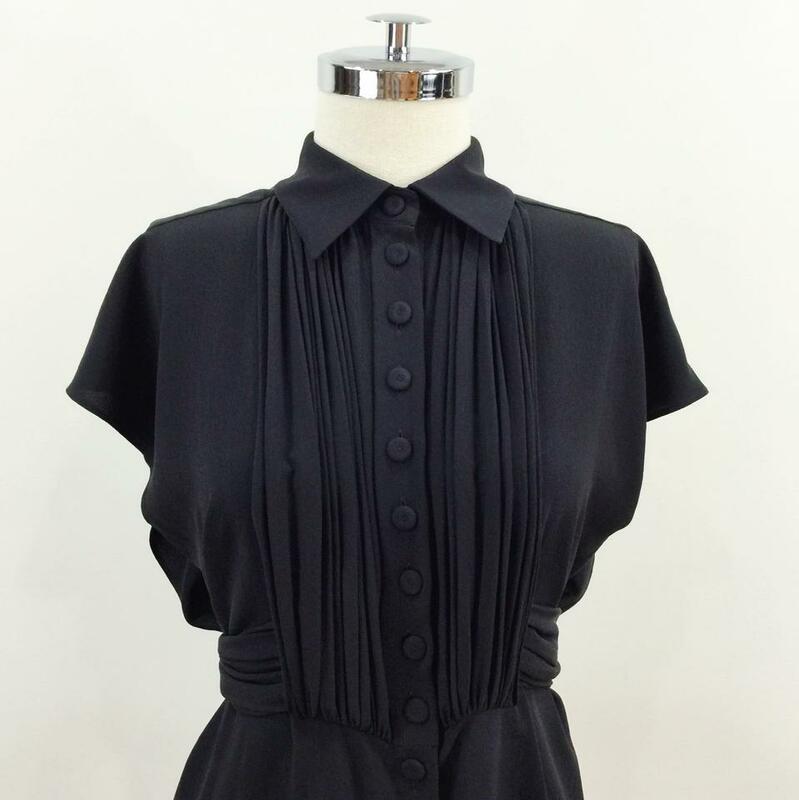 Multiple pleats flank the center buttons and a full pleated tie belt is attached at the front. 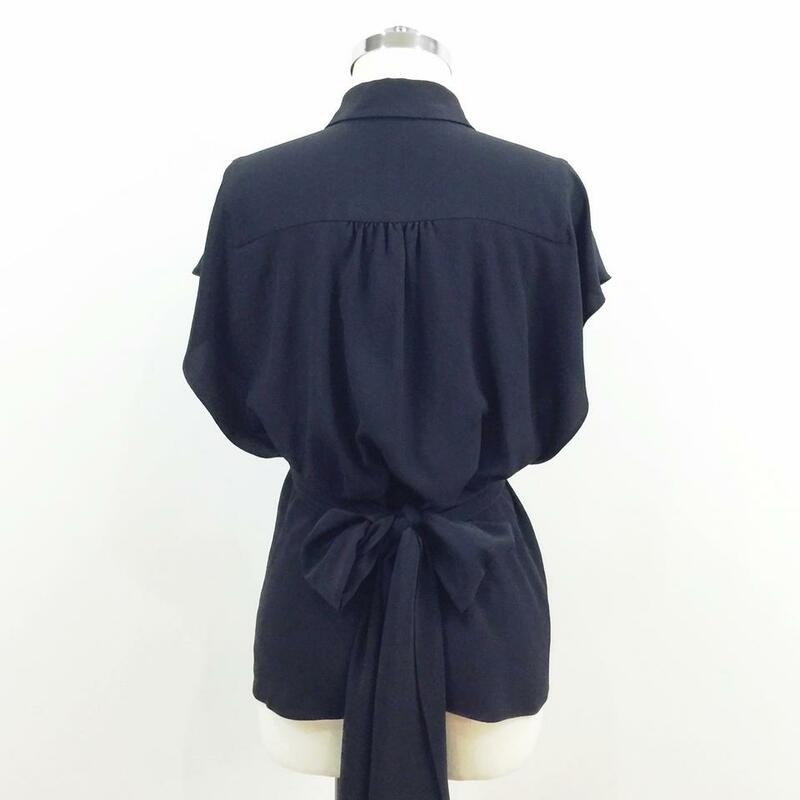 Wrap the tie around the back and tie in the front or just tie into a large bow at the back. 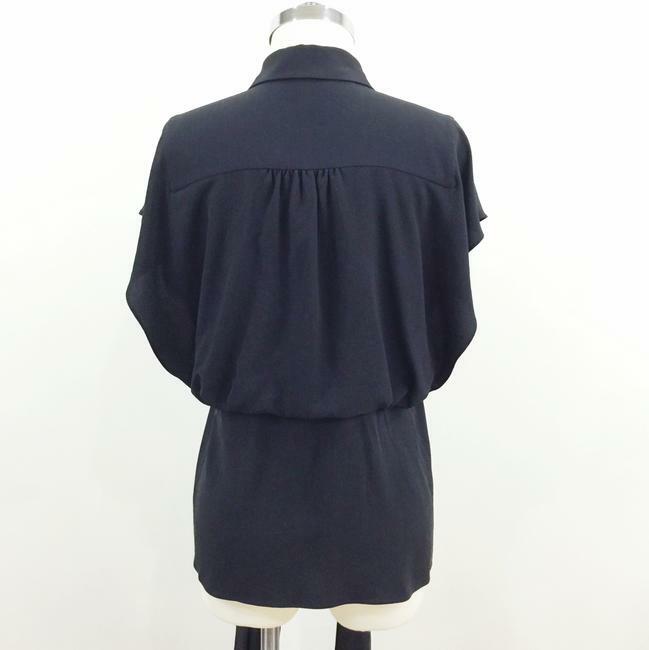 The back features a gathered yolk and has an extra piece of fabric that acts as an attached cape.